Discount available for Business Fundamentals Boot Camp – My Pinnacle Network event, to be held on June 10, 2016 at the Wellesley Country Club in Wellesley, MA. Greg has arranged a special offer for you and your clients of 50 percent off! This offer can be redeemed using code DESIMONE50 at http://www.bfbootcamp.com/2016MWT. This pass is subject to availability and will expire on 6/3/16. So please don't delay if you would like to attend as the previous events have sold out! As with past Business Fundamentals Bootcamps, there will be an all-star cast from the local business community as speakers and panelists for this event, whose theme is “Growth Strategies for the Scaling Company.” The Bootcamp Series is designed especially for owners and C-level professionals at growing businesses, with an emphasis on the tactical and operational expertise needed to manage such companies. Speakers and panelists will lead sessions focused on marketing, finance, law and human resources for the event’s 50 - 100+ attendees (based on full or half day event). Participants will have the chance to learn from and ask questions of some of the most experienced mature- and growth-stage service providers in the area. Again, this pass is subject to availability and will expire on 6/3/16. So please don't delay if you would like to attend as the previous events have sold out! To learn more about the Bootcamp series, visit www.bfbootcamp.com. 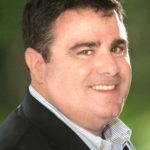 MPN-Mansfield Member and Catapult Advisory Group President Greg DeSimone will be presenting at another Business Fundamentals Bootcamp event, to be held on June 10, 2016 at the Wellesley Country Club in Wellesley, MA. Greg has arranged a special offer for you and your clients of 50 percent off! This offer can be redeemed using code DESIMONE50 at http://www.bfbootcamp.com/2016MWT. This pass is subject to availability and will expire on 6/3/16. So please don’t delay if you would like to attend as the previous events have sold out! As with past Business Fundamentals Bootcamps, there will be an all-star cast from the local business community as speakers and panelists for this event, whose theme is “Growth Strategies for the Scaling Company.” The Bootcamp Series is designed especially for owners and C-level professionals at growing businesses, with an emphasis on the tactical and operational expertise needed to manage such companies. Speakers and panelists will lead sessions focused on marketing, finance, law and human resources for the event’s 50 – 100+ attendees (based on full or half day event). Participants will have the chance to learn from and ask questions of some of the most experienced mature- and growth-stage service providers in the area. Again, this pass is subject to availability and will expire on 6/3/16. So please don’t delay if you would like to attend as the previous events have sold out! To learn more about the Bootcamp series, visit www.bfbootcamp.com.